We are happy to welcome back Molly Roberts for another book review. Molly is Gretchen’s lovely daughter and has written this post of books especially for Pre-Teen and Teen Boys. She is a voracious reader and with four younger brothers has enjoyed a lot of books with great stories for boys. You’ll love her insight and comments about these wonderful books. There is a link at the end of this post to her review of stories for girls. 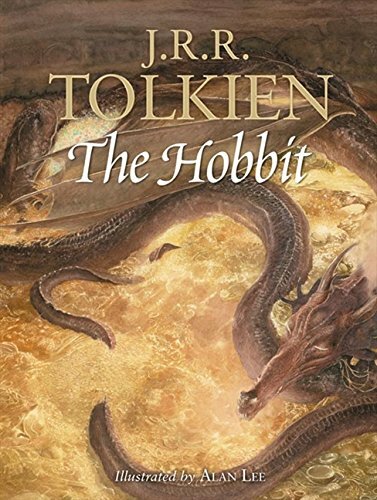 The Hobbit and Lord of the Rings series are classics, found on almost every book list. They started a new fantasy movement, and rightfully so. They are lovely stories, full of peril, yet with a glimmer of hope. Full of frightening creatures, delightful characters, and an ending to die for. Each character has a backstory. Each one has motives, ideals, and dreams, and that is what carries the story. 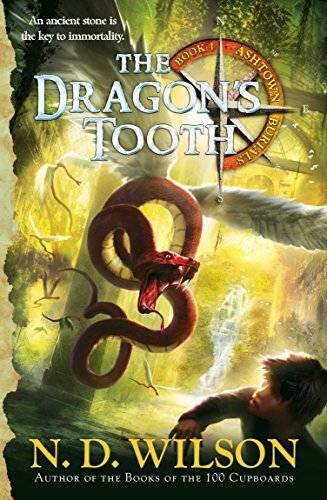 The Wingfeather Saga books are light-hearted and funny. But a dark shadow looms and you can tell that the life the characters live isn’t truly innocent and carefree. The relationships between the siblings, grandfather, mother, and others are so carefully and beautifully written. As the series progresses, the once shy and weak ordinary characters grow into fearless and selfless leaders ready to do whatever life calls them to. The 100 Cupboards books are a perfect combination of fantasy and adventure, firmly grounded in the reality of Kansas. The characters in this series are the most noble and sacrificial that I have ever read; they all have individual failures and weaknesses that they set out to overcome. 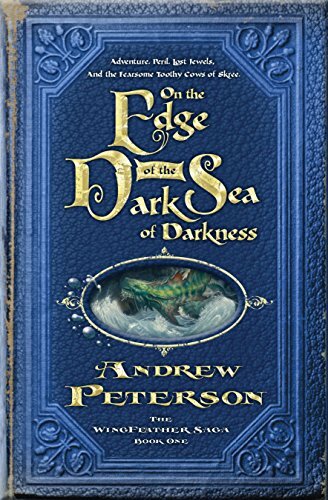 Though the first book might seem absolutely strange, it sets up a captivating journey that redeems itself in the most wonderful way. 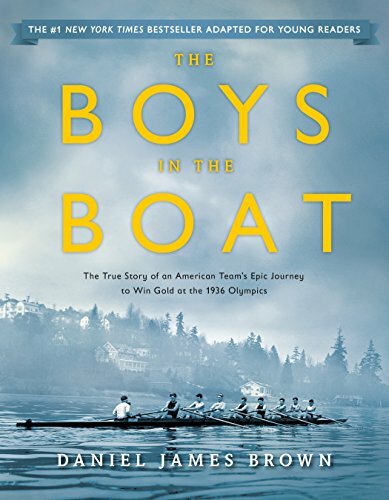 Boys in the Boat is a true story of the diligence, perseverance, and endurance of each man in the winning boat in the 1936 Olympics. It tells the journey of each man’s life and struggles they had to overcome, even before they made the team. They had all come from ordinary, right-in-the-middle of the great depression families, and yet they rose to the test set before them, including Hitler, and came out on top. This is another epic true story of determination and grit. When Shackleton’s expedition turns ghastly it’s up to him to lead his crew on the ridiculously treacherous journey back to…land? food? humans?…anything besides them and the ice. Through month after month of unyielding work, they press on. I recommend that every young man read this at one point. Ashtown Burials is a bit darker than 100 Cupboards. Featured more in the real world, with more real world evil and not as much fantasy. Though for what it lacks in carefree and jolly nature, it makes up for in everything else. This is, personally, in my top few favorite books/series. The characters are so relatable that you would give anything to be able to live and breathe and fight by their side. And they are every bit as noble and selfless as 100 Cupboards’ characters. This Newberry honor book is yet another non-fiction book on the list. 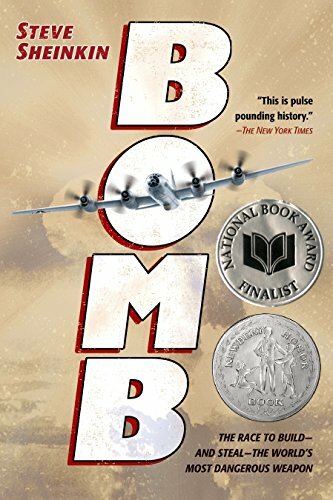 It tells the story of the atomic bomb; the science, genius, and invention behind it, and the spies, enemies, clever deception, hiding places, and codes involved in it. This isn’t the all-evil plot that people think it is now, this book shines some light on the initial purposes and intentions of the men behind the bomb. This is a definite classic and has become somewhat of an American Legend. Full of adventure, obviously, along with trouble, predicaments, and humor. This book has no really dark themes, making it a cheery (though not totally morally wholesome) read of growing up in Mississippi in the mid 1800s. 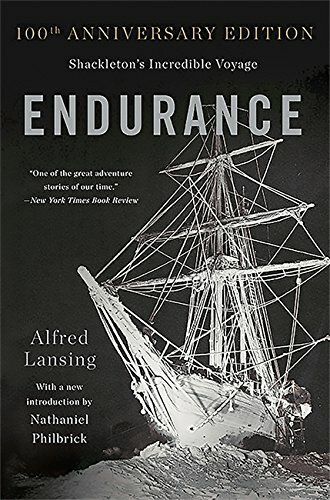 Another old-time, classic story of survival and adventure. After their boat gets wrecked, the Robinson family ends up making it to an island. They set up a sort of camp and frequently go back to the wreck for more supplies. Once they realize they’re really stranded, they use creativity and plenty of hard work to make a functional place for themselves. 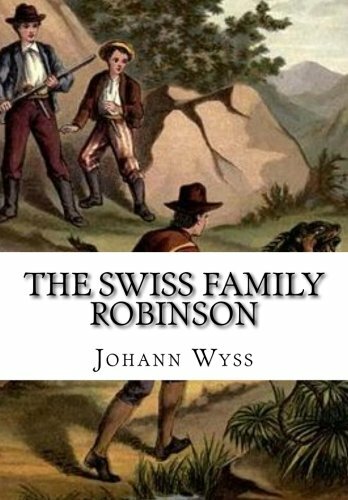 Through thick and thin, and adventure after adventure, they stick together and work together as the Swiss Family Robinson. This is the only truly adult book on my list. It is the wonderful retelling of the Battle of Gettysburg. 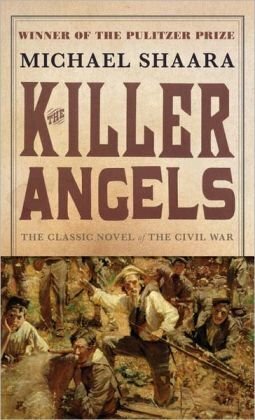 It covers strategies, generals, ordinary soldiers, and all of the ins and outs of the Civil War’s least civil battle. You can really get to know the leaders and their motives and longings for their homes and families. 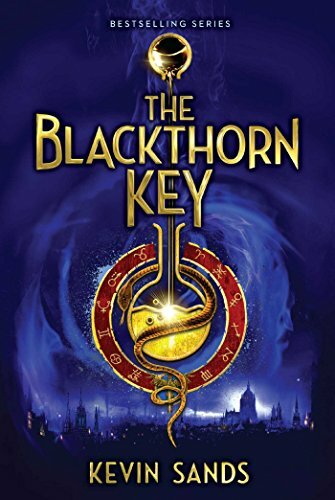 The Blackthorn Key is a great, more modern book for boys. 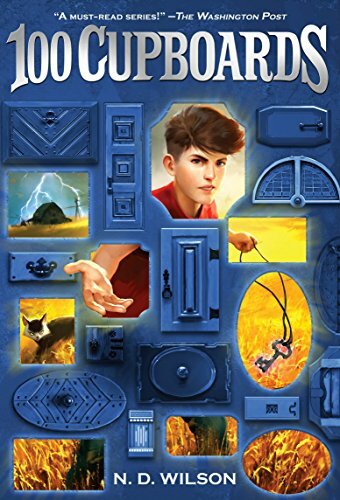 It is brimming with all sorts of puzzles, codes, riddles, mysteries, and ciphers to solve making it a favorite of my brothers too. The first book is exciting and thrilling with plot twists galore and great, deep characters. The next books take a slightly darker turn, so parents might want to pre-read them to see if they fit with specific family and child standards. Recommended reading age: Mature 12+ for #1, the rest with parental guidance. 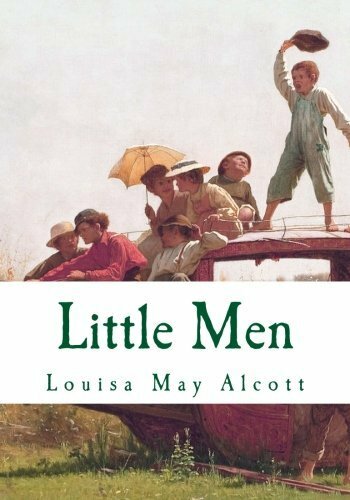 I know I mentioned Louisa May Alcott’s on my 13 books for girls post a few months ago, but this book deserves mention over here too. 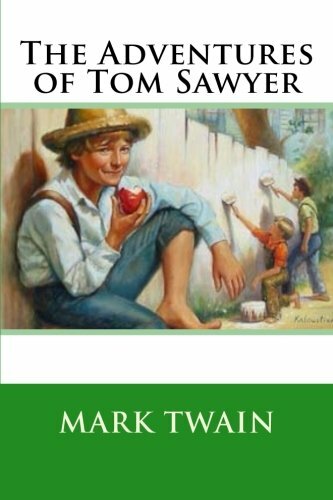 It is an enchanting story of little boys and the ways that they grow, live, and learn together with Mrs. and Mr. Bhaer. (Jo and her husband.) The everyday little things that they do together are so sweet and charming. And they have plenty of adventures to learn from too. This is a wonderful read aloud if you have boys of multiple ages. Calvin & Hobbes are funny, witty, and absolutely delightful. 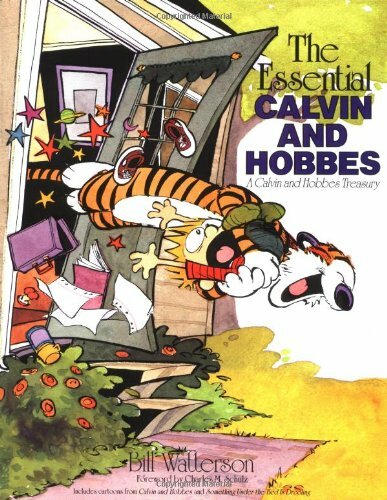 There is always one applicable to every situation and many sentences at our dinner table start, “There’s a Calvin & Hobbes…” They’re simple enough that young children can understand them, and complex enough that even adults can appreciate them. There are so many of them that they never get old and never lose their charm. Please click on the image below for Molly’s Book Review of 13 Stories for Girls.